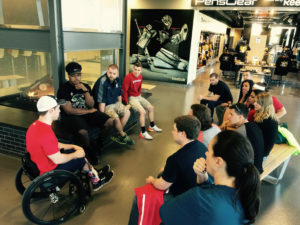 The Mighty Pens hosted California University’s Graduate Athletic Training Program students who recently hit the ice at the UPMC Lemieux Sports Complex as part of their Athletic Healthcare for Special Populations class. 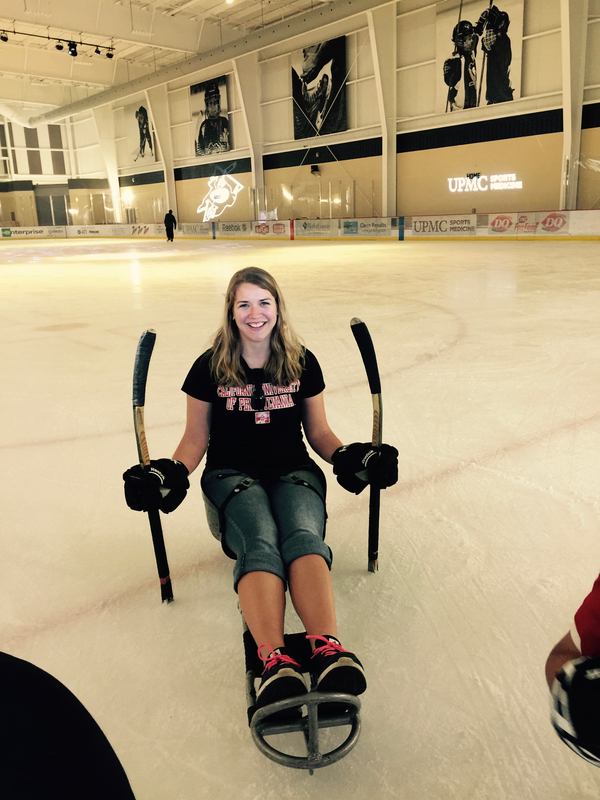 The students learned about para-athletes, specifically those playing sled hockey. The students were able to hit the ice in sleds and try out the sport for themselves. 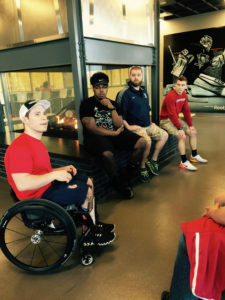 Off-ice, they had the opportunity to speak with 2014 Team USA’s Sled Hockey gold medalist, Dan McCoy about his achievements as a Paralympic athlete. Thank you to all of the athletic trainers as well as Dr. Shelly DiCesaro, Head Athletic Trainer & Professor at California University. We appreciate your desire to help athletes of all abilities achieve their dreams! 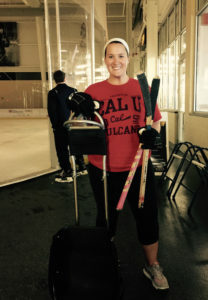 Hope to see you all on the ice again soon!